When you are part of the “idea” business you spend a lot of time thinking, curating and throwing things (figuratively & sometimes literally) against the wall. Sometimes things stick, sometimes there are dead ends, but you are always in search of the slightest germ of an idea to spark creativity. 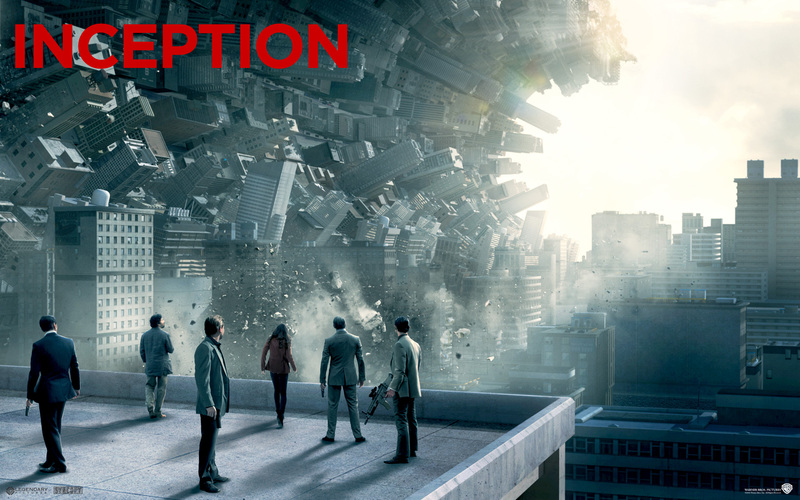 Applying context to marketing, a good idea can be highly contagious. You begin to immediately see the “legs” of the idea and how it can potentially extend out. Whether it is tied to a larger brand campaign, branded content or even an activation, a good idea change the game for a brand. 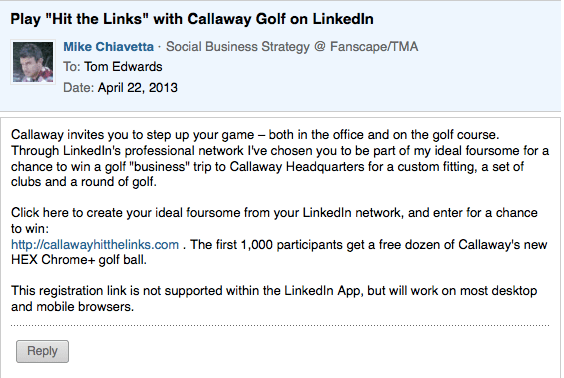 I had an “Inception” moment when members of my team Brandon Stuart, Creative Director & Mike Chiavetta, Director of Social Strategy @ Fanscape/TMA, began discussing the concept & strategy associated with the Callaway activation that is outlined below. 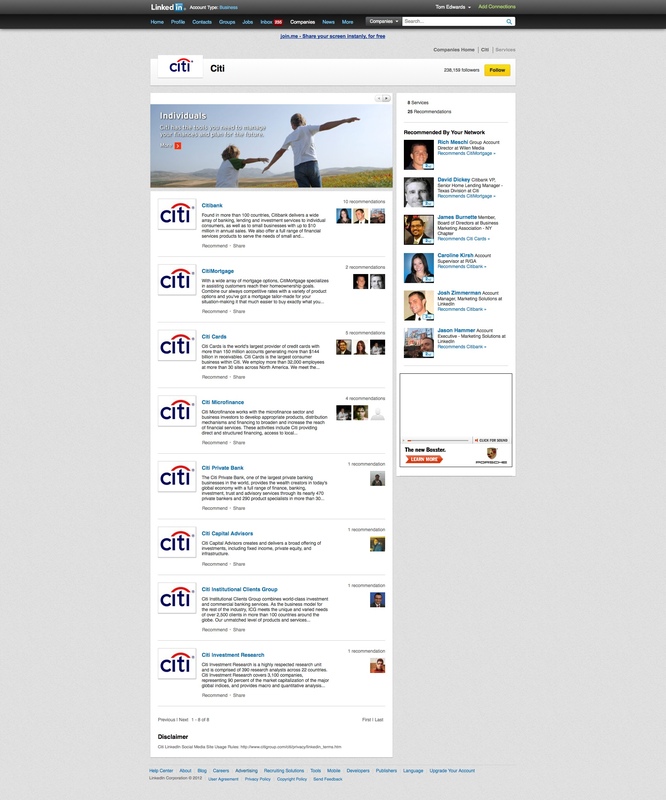 There are moments when the consumer + idea + channel + message = compelling consumer engagement program. 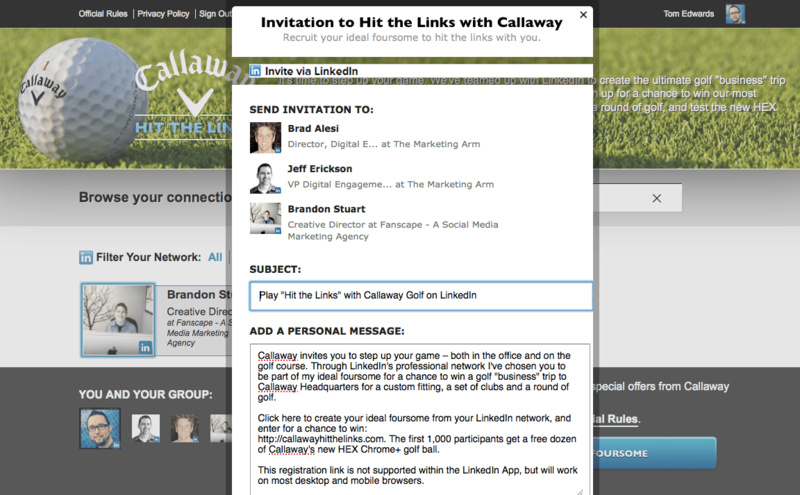 The Callaway Hit The Links activation was the result of a close partnership between Callaway and Linkedin to leverage their API’s and create a relevant connection with the target consumer and overlay a fun concept that is built to be shared. 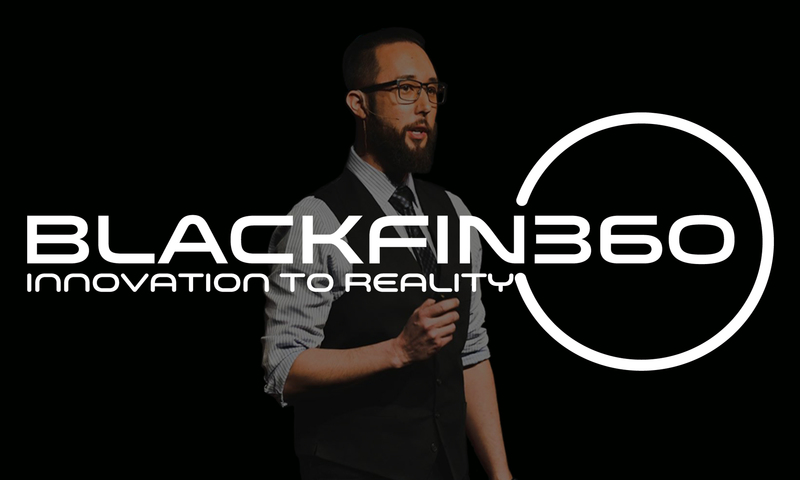 When it came to developing the creative concept I asked Brandon Stuart, Creative Director at Fanscape to share his thoughts on the program. 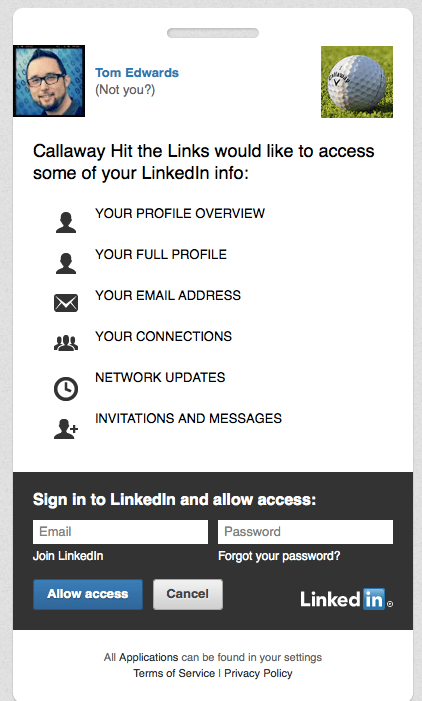 It all starts with a simple invite that comes from the native Linkedin messages feature. 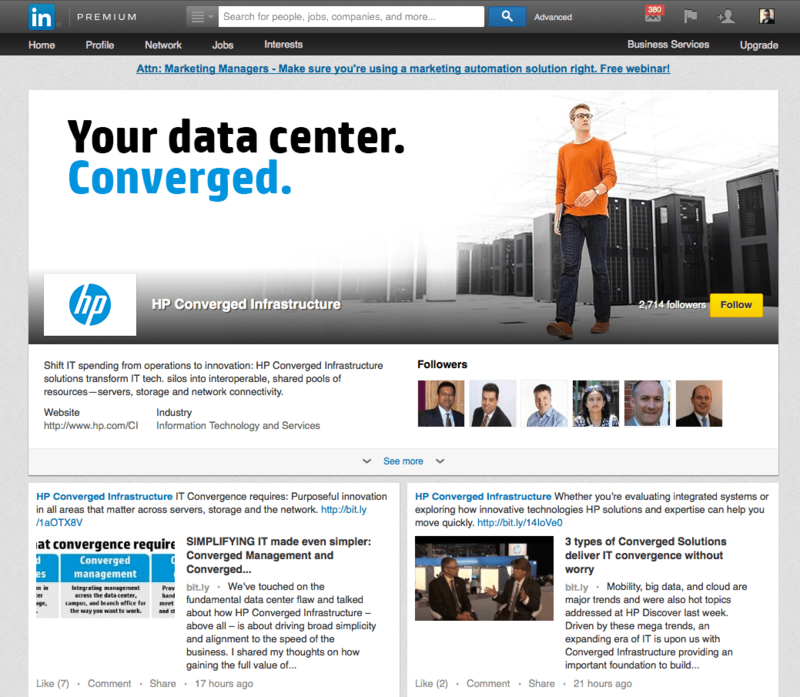 By connecting the message from a direct Linkedin connection, we are creating contextual relevance for the recipient, increasing the probability of taking action. 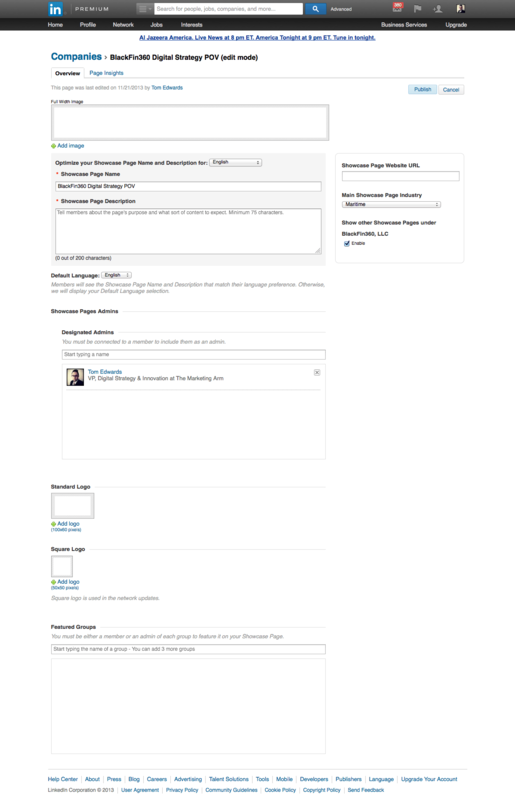 Next you are sent to a visually appealing landing page that outlines the value proposition & call to action. This is the “why” you should engage. Next is the authentication to connect your network with the program. 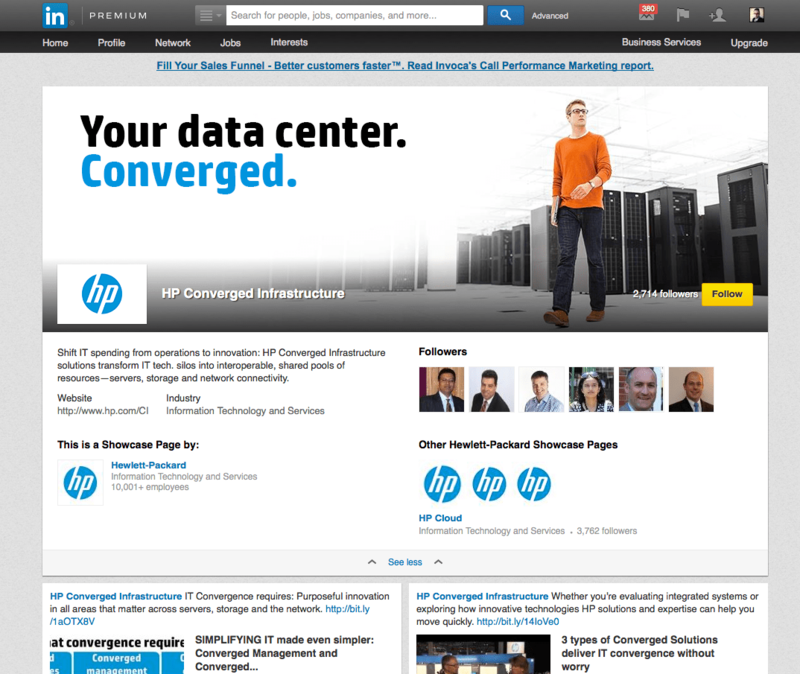 This is a key point of enablement for the experience. By leveraging the authentication directly and by connecting the user to their network across both mobile & desktop allows us to provide as seamless an experience as possible. 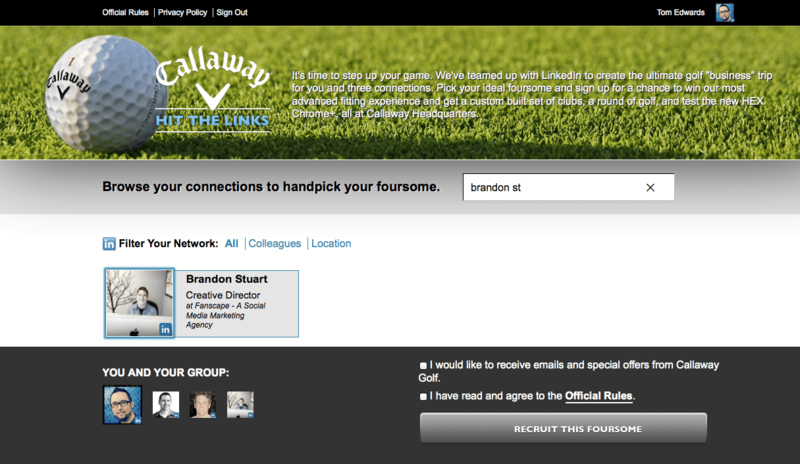 Once connected, you then have the option to begin selecting your golf foursome. 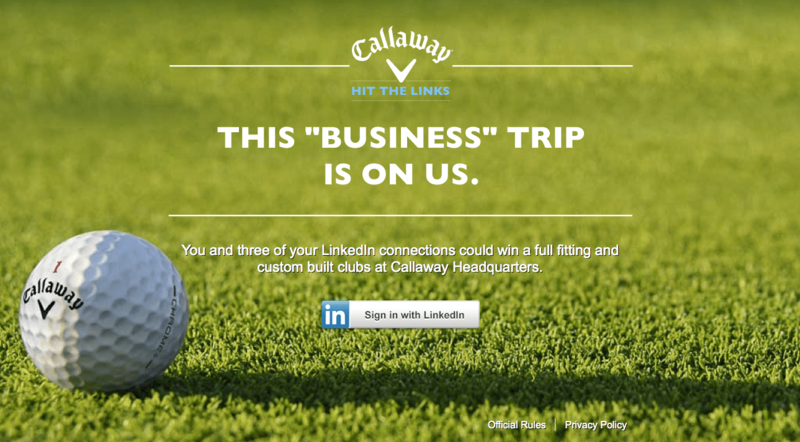 The benefit to the consumer is the opportunity to create the “ultimate golf business trip” for you and three of your connections. You pick your ideal foursome and sign up for a chance to win an advanced fitting experience and get a custom built set of clubs, a round of golf & test the new HEX Chrome+ all at Callaway’s headquarters. 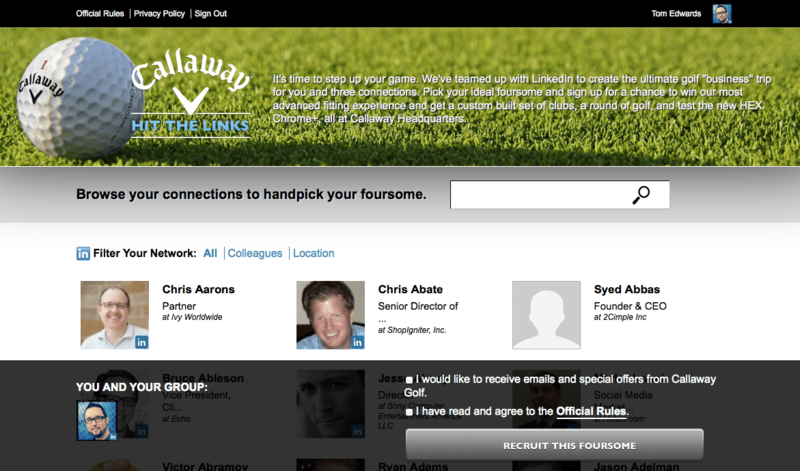 The system will auto-generate a golf foursome, or allow you to pick your group from your network. At this point there is also an opportunity to opt-in and view the rules of the promotion. Once you finalize your group, you are ready to finalize your entry for the day. It is possible to gain additional entries daily with different foursome combinations. Once your group is finalized, you have the opportunity to let the members you selected know they have been selected and they have the opportunity to create their own entry as well. 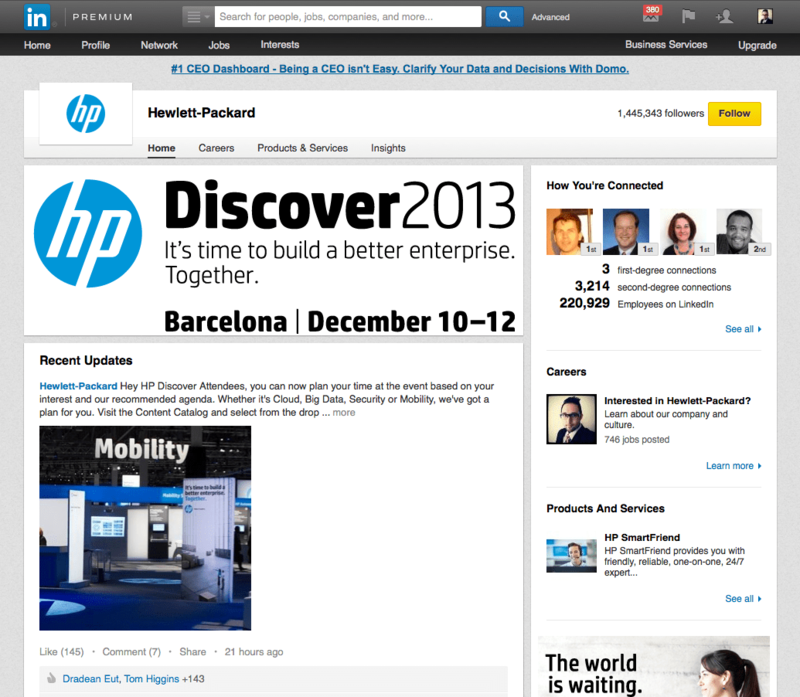 All messaging is delivered via the Linkedin native message functionality. Also, there is a sampling initiative tied to the program as well. 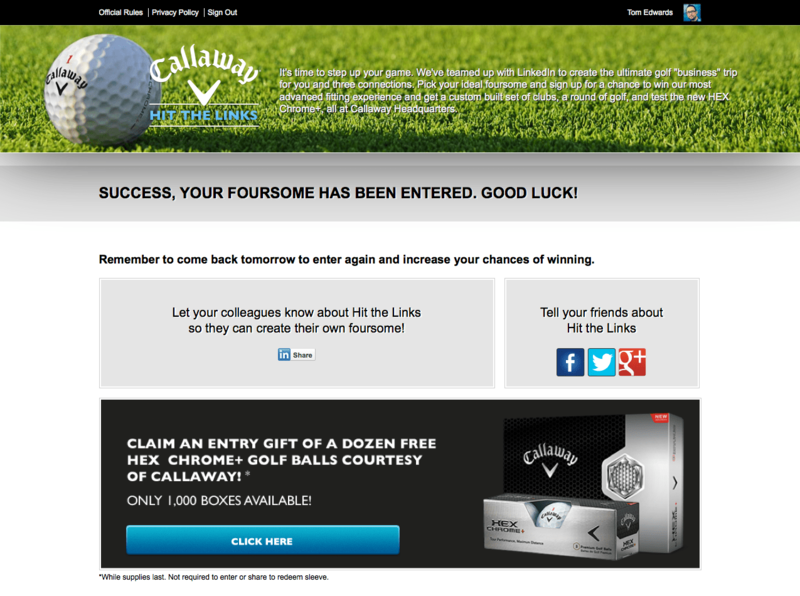 The first 1,000 participants can claim a box of HEX CHROME+ golf balls courtesy of Callaway to further drive a direct connection of product to the consumer. 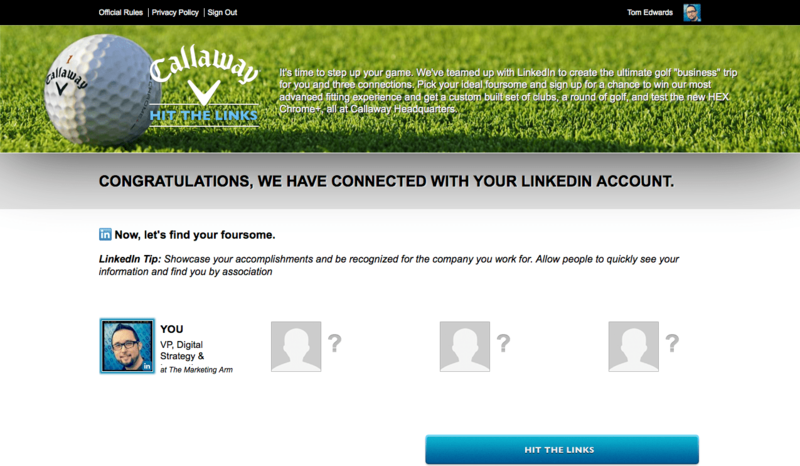 Special thanks to Brad Alesi, Director, Digital Engagement @ The Marketing Arm for contributions to the Fanscape Callaway Team. When you hear the term social media most people immediately think about Facebook and Twitter and consumer focused campaigns and conversations. 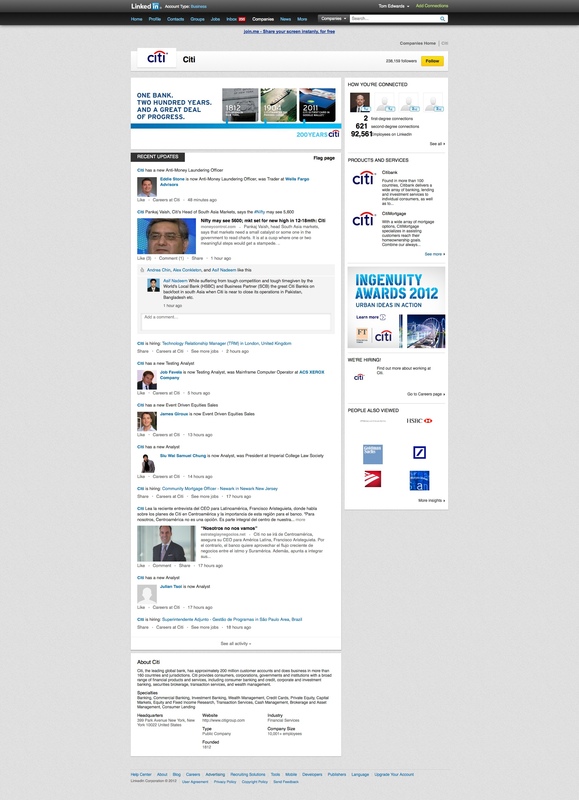 But what doesn’t come immediately to mind is that Social is a very powerful channel for B2B organizations. 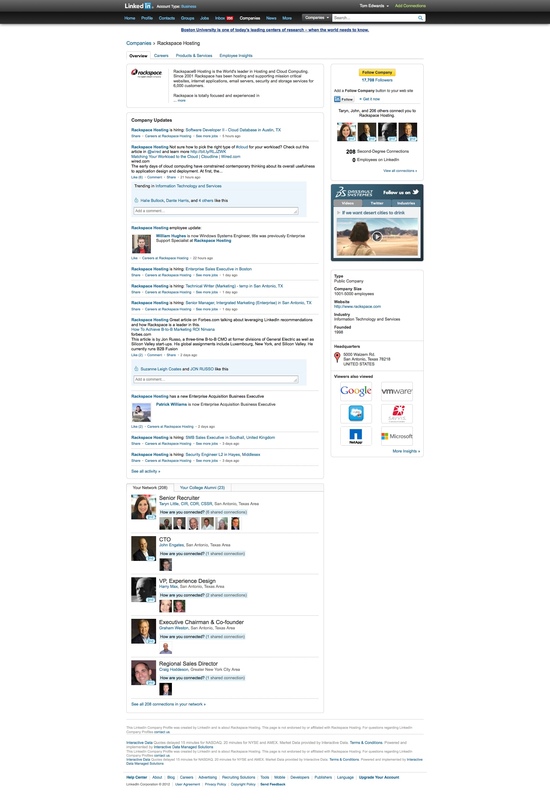 What is interesting is that 86% of B2B firms are using social, compared to 82% of B2C. And how they are using it is surprising as well. 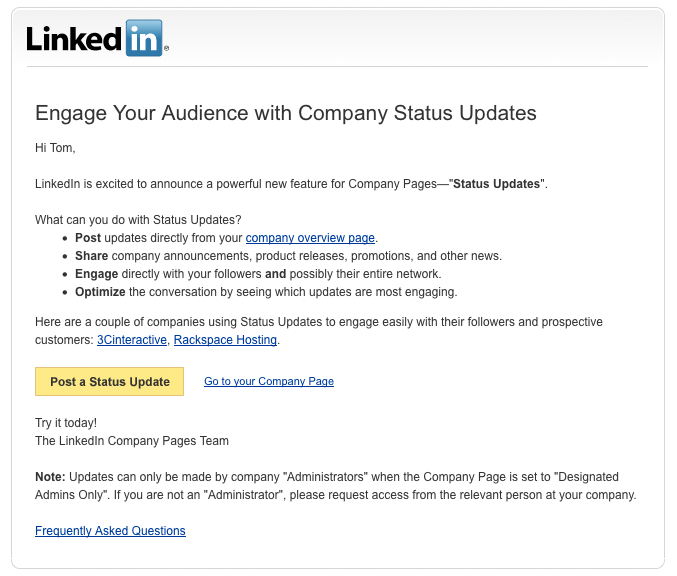 With Today’s Linkedin announcement that they are now enabling company status updates, they are taking another step forward in further allowing organizations to connect directly with potential targets. 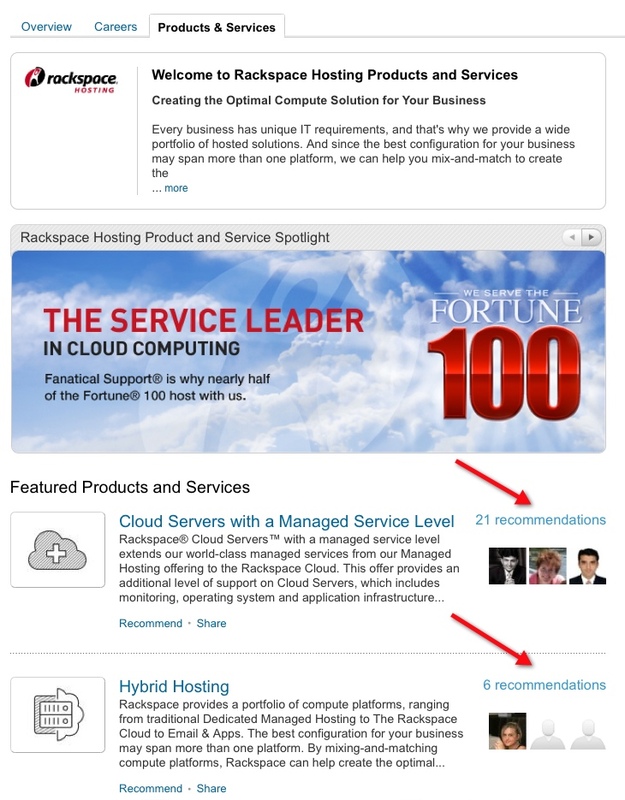 With the ability to outline services, drive recommendations and now adding a voice to the brand, it will be interesting to see how organizations capitalize on yet another avenue to interact with potential clients. 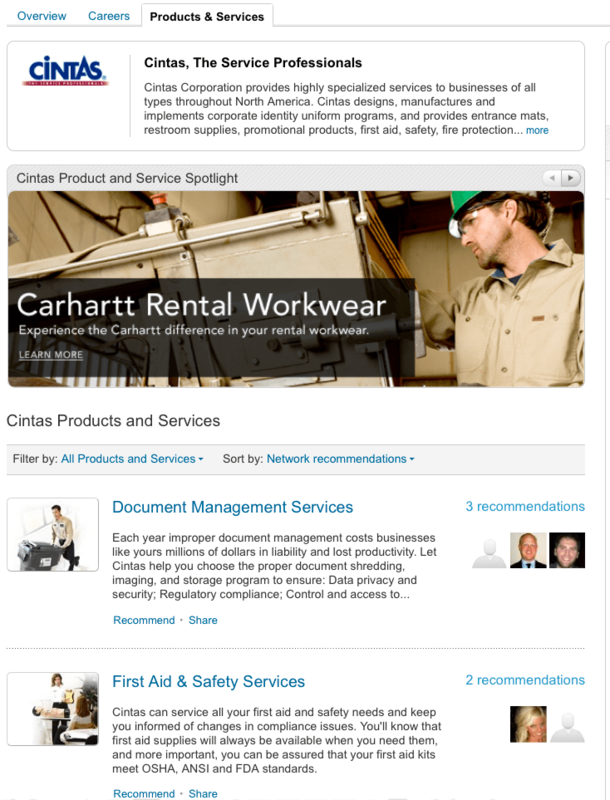 Cintas & RackSpace are maximizing the Linkedin platform to further drive engagement with their brand by outlining their products & services and driving recommendations for their offerings. Because B2B social is generally more targeted than B2C social, the ability to drive targeted interaction in one location while also providing a comprehensive footprint throughout the channel is key. Brands can engage via groups, Q & A in Linkedin answers and use the inherent tools in the platform to drive targeted interaction. 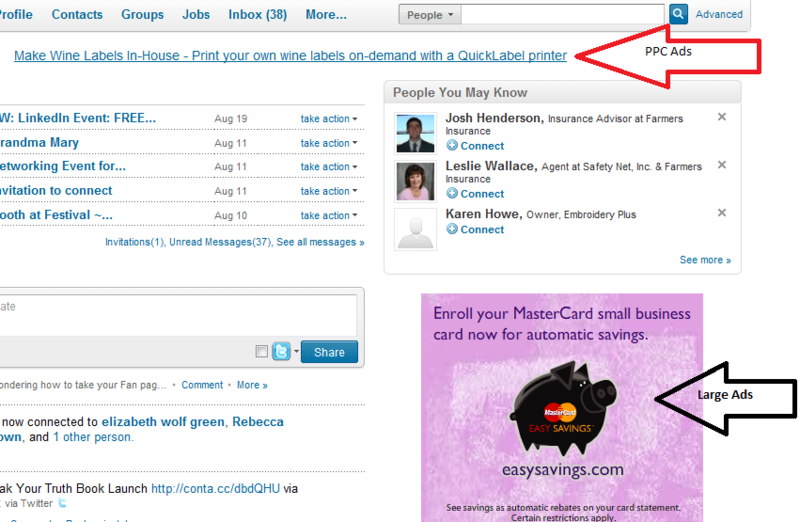 Organizations can also purchase PPC Ads as well as targeted rich media to further drive their acquisition strategy. 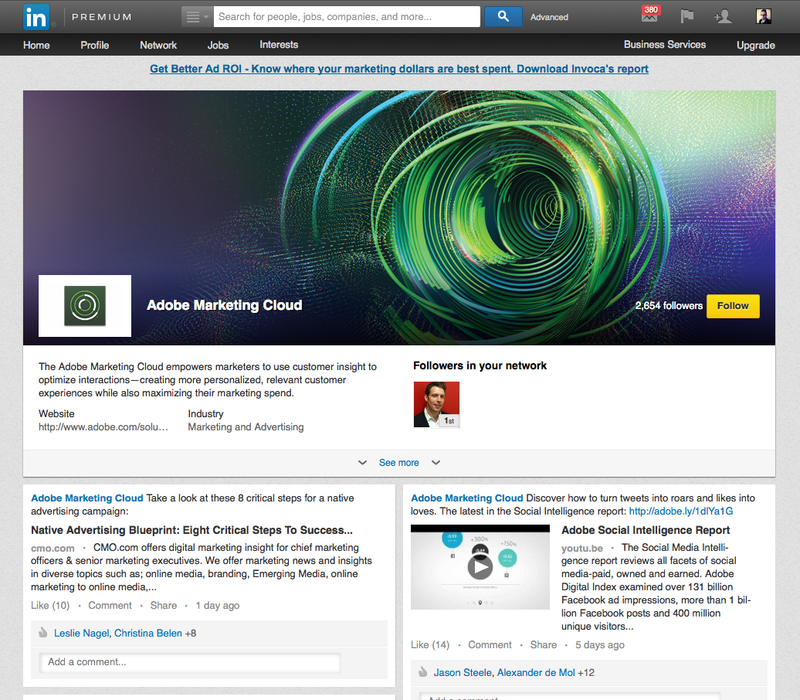 With so much attention given to Facebook, B2B organizations should maximize their Linkedin experience. 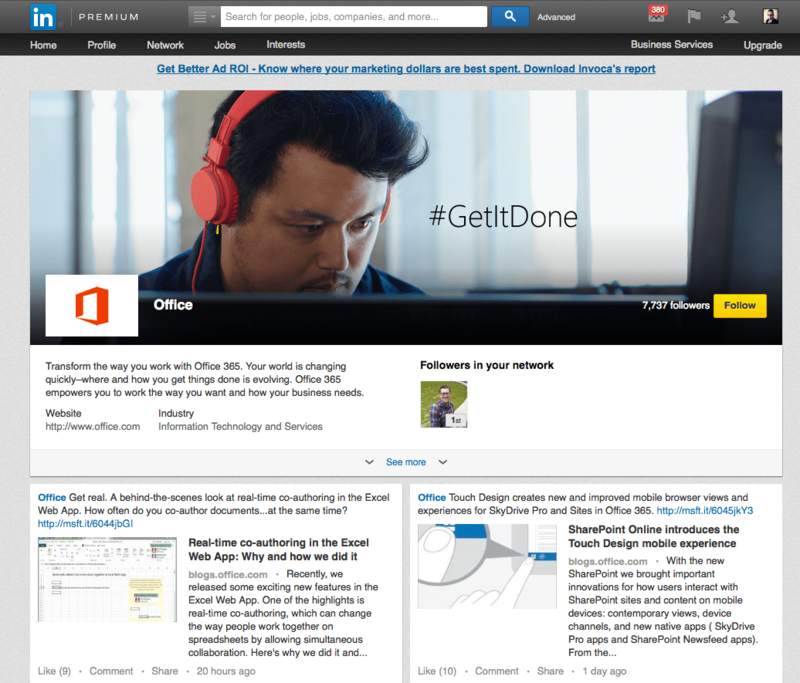 Whether it is to further amplify thought leadership, drive acquisition of leads, or promote feedback/reviews & recommendations, Linkedin’s latest changes can further enable an organization to meet and exceed it’s goals & objectives.